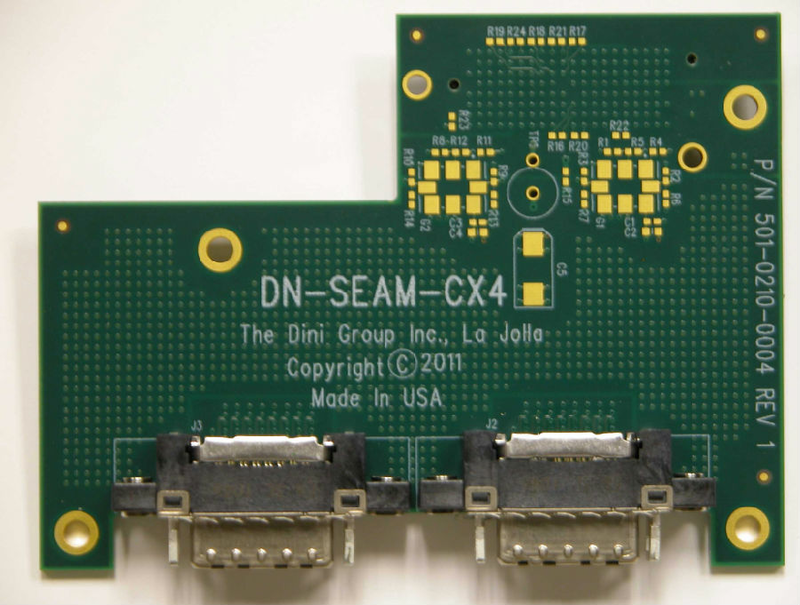 The DNSEAM_CX4 breaks out a DNSEAM connector (like on the DNV6F6 and DN2076K10) to a pair of 4-lane Infiniband-style connectors. 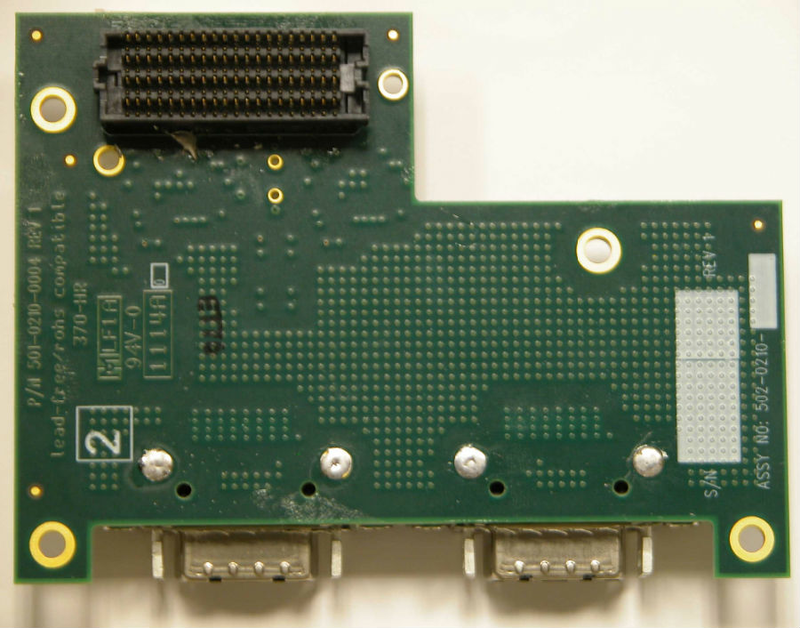 This allows implementation of X4 infiniband and 10GBASE-CX4 on select Dini Group products.This card can (optionally) be equipped with Si534 or Si598 DSPLLs to generate virtually any clock frequency for the GTX REFCLK inputs. Ø Infiniband, XAUI for 10GBASE-CX4, etc.